Best Buy Windows & Siding LLC of Frisco, TX has a team of experts with more than 100 years of expertise offering the highest quality home improvement products to Texans. We have been selling and installing custom replacement windows, vinyl siding, and professionally designed patio covers in the North Texas area for more than 30 years. We take pride in knowing that we deliver the best products and highest customer service every time we work with homeowners and businesses throughout the DFW area. Home to retail opportunities galore, the city of Frisco prides itself on being one of the fastest growing cities in the country. Frisco has more than tripled in size in the last eight years. Major growth in Frisco began with the opening of the popular Stonebriar Mall and other retail shopping centers. Now, Frisco hosts a number of sporting and entertainment events at Dr. Pepper Ballpark and Pizza Hut Park, as well as the 18,000 square foot indoor aquatic facility at the athletic center. We work with many types of windows, top of the line vinyl siding, and custom patio covers, offering you expert advice and service to ensure you get the best choice for your home. Our qualified knowledgeable technicians will consult with you to determine what’s most important to you. Whether it’s higher energy efficiency, better insulation for your home interior/exterior, improving the aesthetics of the home, or increasing the resale value of the home, we will satisfy your needs. Once we have a clear understanding of your home improvement needs, we will provide you with a concise quote with our recommendations so that you will know exactly what your investment will be. We value our clients’ satisfaction, making sure our pricing is up front with no hidden fees. There will be no additional expenditures should the job require additional time on our part to get the job done right. How often should residential windows be replaced? 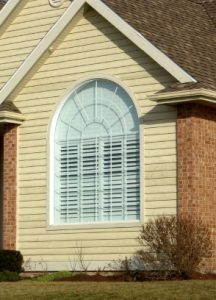 Knowing the right time to replace residential windows is quite important for any homeowner. The longer you wait to install replacements, the higher the chance of wasting money on energy costs or damaging yourself and your furniture. Windows offer security to your home, just as much as they offer an excellent view of the scenery outside. Residential windows cannot be designed to last forever. In fact, even the best brands in the world should be replaced every so often. The basic rule of thumb when it comes to windows is generally to replace them every 15 to 20 years. When you hit the 15-year mark for residential windows, it is time to consider having them professionally replaced. If you are unsure, have a window technician survey the windows in your home and offer their professional opinion on the matter. Our technicians are trained to look for potential damage and defects. We understand that, as a homeowner, you are looking toward the future with any home improvement project. You also probably work with a monthly budget for such projects and want to make the most of the money you spend on replacement windows in the home. At Best Buy Windows and Siding, we offer a lifetime warranty on all windows we install or replace in your home. We are so confident in the work we do for the community in Frisco that we stand by our lifetime warranty completely. We’re sure no one will need a brand new window due to the poor quality of the work we have completed. Over time, however, windows may begin to break, crack, or fall out of place. That will not occur for up to two decades, of course. Replacing windows is still an investment and one you want to be performed promptly and efficiently. If you’re ready for dramatic home improvement, CALL US TODAY for a FREE, in-home consultation or if you prefer, sign up for one of our FREE Window, Siding, or Patio Buyer’s Guides!